Blackjack is one of the most popular games at both online casino sites and bricks and mortar venues. At the very basic level, you must score as close to 21 as possible without going over by adding the numbers of the cards in your hand. If you are closer to 21 than the dealer, you win. Think you know how to play blackjack? Read on, as there is a lot more to it than that. Each variant of blackjack comes with its own rules and tactics and there are some strategies you can employ for all versions of the game. Whether you play for low stake or you are a high roller, this page can help you out. The first mention of this type of game in literature comes from the early 1600s, although it may have been around longer. It was originally called twenty one, a name that many fans still use today. The name blackjack comes from the various bonuses paid out by American casinos when twenty one became popular. Players won ten times their stake back if their winning hand contained the ace of spades and the jack of either spades or clubs (both black suits). Hence, he was the black jack. The name soon stuck. You will struggle to find a UK casino site without blackjack. This is due to the long-lasting popularity of the game. Most new casino sites offer more than one version of the card game, with different games developers providing their own take on it. There are also a host of different versions of the game, from single deck blackjack to eight deck, multihand blackjack to Hi Lo, Vegas Strip blackjack to Spanish. Take a look at the uk casinos page to find out whether a site provides blackjack, if you fancy your chances. Number cards are worth the number they bear. 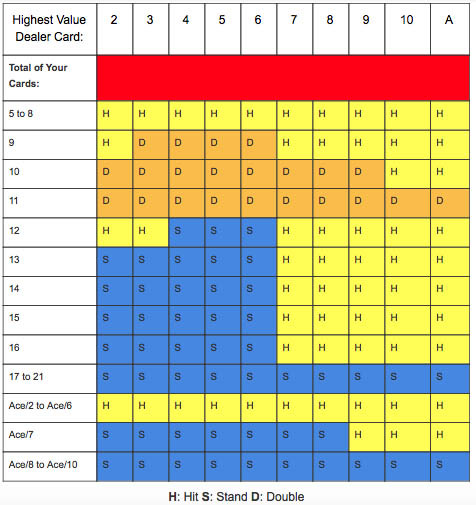 The aces are worth either 11 or one, depending on what suits your game best. The object is to get to 21, or at least closer to 21 than the dealer, without going over, or ‘going bust’ as it is known. You can choose to ‘stick’ (keep the cards you have as they are) or ‘hit’ (receive an additional card). As you get closer to 21, you have to weigh up whether it is worth hitting and therefore risking going bust, or sticking and hoping that the dealer cannot catch you without busting themselves. Your first opportunity to hit or stick (sometimes known as ‘hold’) comes after you see your first two cards. You then have that option again after every additional card. Most blackjack games have a rule that the dealer must stick as soon as they reach 17 or greater. Your prize for winning a hand is equal to the value of your stake. If you score ‘blackjack’, hitting 21 on your first two cards, your payout is 3:2 relative to your stake. If you and the dealer score the same, this is known as a ‘push’ and you claim your stake back. If you have an active hand with an ace valued at 11, it is counted as a soft hand. This means that you can’t go bust because, whatever card comes next, you can change the value of the ace to 1. A hard hand doesn’t have to have an ace, but if it does, it has to be worth 1. The softness of the soft hand refers to its flexibility. In a hard hand, the ace must be worth 1 or it will bust you. Although the basic principle of blackjack is simple, you can try a number of tactics to increase your chances of winning or to boost your prizes. If you feel you have a very strong hand after seeing your first two cards, you can double your bet, which will in turn increase your prize if you win. You must do this after the first cards and, you should note, you are only allowed to hit one more card after doubling. If you have a pair (two cards of the same value), you can choose to split them and play them in separate hands. This increases your chances of beating the dealer. 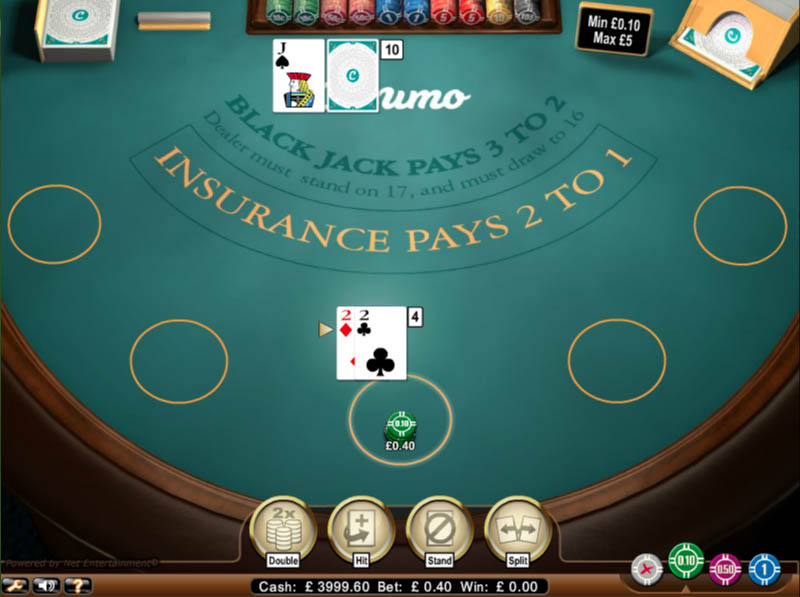 Some versions of online blackjack allow you to surrender your hand if you feel you do not stand a chance of beating the dealer. This costs you half your stake, but it means you don’t lose everything on a rotten hand. Blackjack isn’t an exact science, and a lot of it is down to luck, but it does involve some skill on your behalf. This table is a guide to what many people believe you should do, based on the cards you have. Double when you have 11 and even with 10m unless the dealer has ten or more. If the dealer’s visible card is an ace, you can take up the offer of insurance, costing half your stake. You take this against the possibility of the dealer having blackjack, a score of 21 on just two cards. If they do have blackjack, you get your stake back if you took the insurance. If they do not have blackjack, you can still win, but only half your initial stake counts for the payout.